INDIANAPOLIS – Patients who are activated–meaning they have the knowledge, skills and confidence to manage their health and health care–have better health outcomes. A new study provides evidence that male and female African-American veterans receiving outpatient mental health services are not as activated as White veterans. In addition to demonstrating an association between race and lower patient activation, the study shows that the relationship between African-American veterans and their mental health providers is not as strong as the relationship between White veterans and their providers. This difference persisted after adjusting for socio-demographic factors and the study participants’ length of time with their providers. Stronger patient-provider relationships–known as working alliances–have been linked to higher treatment adherence. The study also reported that the African-American veterans had significantly lower medication adherence rates than White veterans. “A clear implication from this study is that one size does not fit all. We need to tailor our efforts to meet the needs of African-American veterans–and meet them where they are,” said VA Center for Health Information and Communication, Regenstrief Institute and Indiana University Center for Health Services and Outcomes Research investigator Johanne Eliacin, PhD, the health services researcher who led the new study. “When it comes to being activated and engaged in their own health care, African-American veterans have more specific challenges that need to be better understood and addressed. Dr. Eliacin is a clinical psychologist and psychological anthropologist. She also has an appointment as an assistant research professor in the Department of Psychology in the School of Science at Indiana University-Purdue University Indianapolis. Her research focuses on sociocultural determinants of mental health and on reducing health disparities. 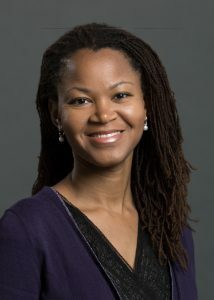 She has conducted previous studies–published in 2016–on patient activation, patient engagement and visit preparation among African-American veterans in mental health care. All participants in the new study were seen at Richard L. Roudebush VA Medical Center in Indianapolis, had at least one mental health diagnosis and were receiving psychiatric treatment. The majority were men. Three quarters had completed some higher education, although only a quarter were employed. Participants, both African-American and White, had worked with their mental health provider for an average of 28 months. There were no significant differences between African-Americans and White patients in terms of age (mean age was 51), education or employment status. “The Relationship Between Race, Patient Activation, and Working Alliance: Implications for Patient Engagement in Mental Health Care” has been published online ahead of print in Administration and Policy in Mental Health and Mental Health Services Research. The study was supported by grants from the Department of Veterans Affairs. Authors, in addition to Dr. Eliacin are Jessica M. Coffing, MPH; Marianne S. Matthias, PhD; Diana J. Burgess, PhD; Matthew J. Bair, MD and Angela L. Rollins, PhD. All have VA affiliations. Drs. Matthias and Bair are Regenstrief Institute investigators. Dr. Matthias is on the faculty of IUPUI’s School of Liberal Arts, Dr. Bair is on the faculty of IU School of Medicine and Dr. Rollins is on the faculty of IUPUI’s School of Science. Dr. Burgess is on the faculty of the University of Minnesota. Dr. Eliacin notes that in addition to African Americans, future work should focus on other minorities within the veteran population who experience challenges in engagement and communication with health providers including Hispanics, Asians, Pacific Islanders and gender minorities such as transgender and LGBT veterans.